This is perhaps the most famous image of Uncle Sam. It was created in about 1917, and was used by the US Government as a recruiting poster for World War I. 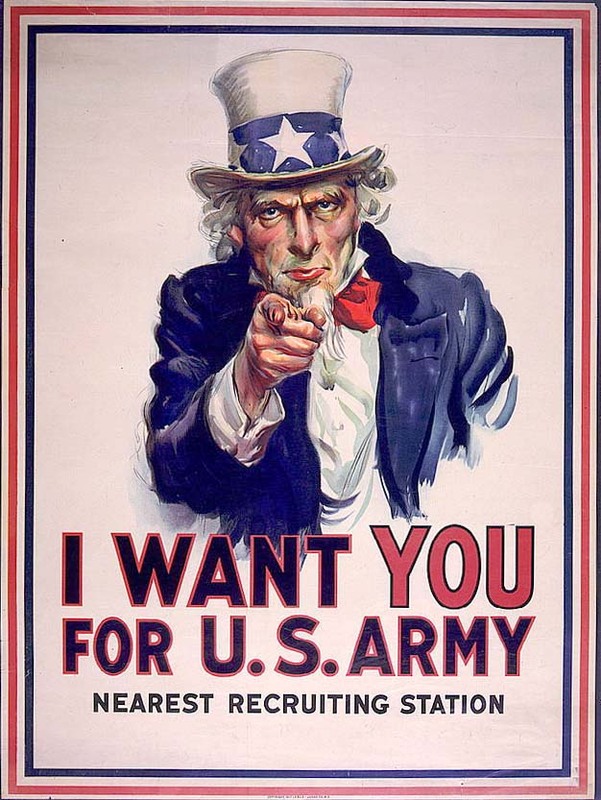 While the image of Uncle Sam has evolved over the year, this poster would be considered the "classic" image of Uncle Sam. This is one of the truly patriotic posters of all time.